XWe offer a large selection of commercial metal door frames with custom options for all models. Our standard hollow metal door frames work with almost any door type or wall condition. 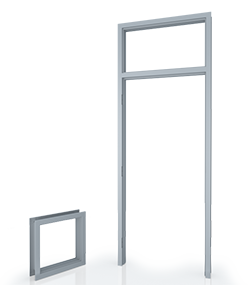 Our custom heavy duty steel door frames are available with heavier gauge material, custom profiles and A60, G90 or stainless steel material. 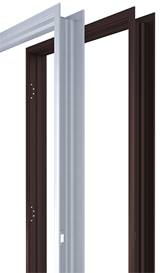 We also carry Timely prefinished steel door frames for use with solid core wood or light duty metal doors. 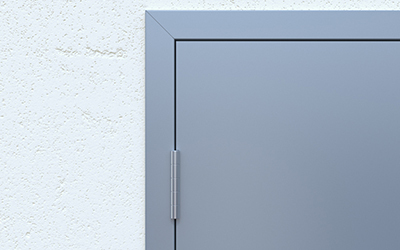 Timely metal door frames are easy to install and include snap on casing and a factory paint finish. Our extruded aluminum and heavy duty steel door frames offer a sleek modern design for commercial interior applications. 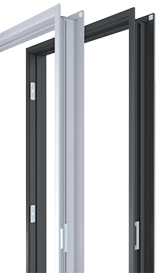 All of our commercial metal door frames are available with transom and sidelite glass openings. Browse our high quality selection of commercial metal door frames below. 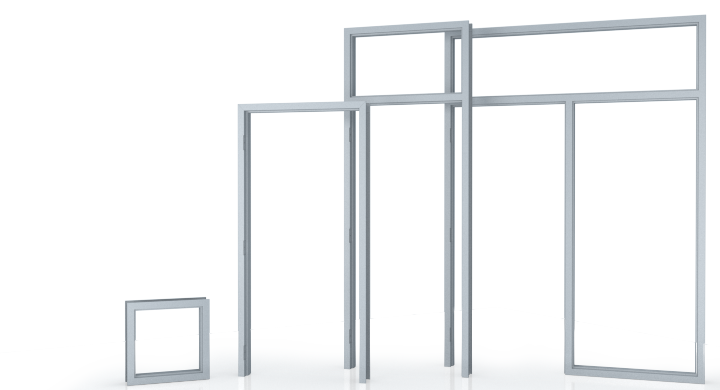 F series commercial steel door frames are made from 16ga. galvanized steel for exceptional performance in any hollow metal frame application. 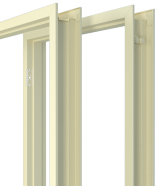 Heavy duty and extra heavy duty hollow metal door frames. Specified worldwide by architects and engineers. Custom steel door frames for commercial and industrial use. 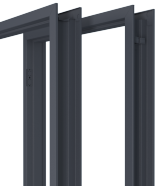 A60, G90 or stainless steel door frames in 16, 14, or 12ga. thickness. Factory finished interior commercial door frames that are easy to install. Sleek and modern design for a contemporary commercial interior door look.